Take advantage of your camping stay to discover the tip of the Raz and Cape Sizun in Southern Finistère in Brittany. You are here at the "end of the world", by that you mean: the westernmost point of Europe! Discovery. A masterpiece of nature labelled "Grand site de France". Between Douarnenez Bay and Audierne Bay, the Pointe du Raz is part of a vast exceptional natural complex of 2,000 hectares stretching from Pointe du Van to Pointe du Millier. For campers in search of authenticity, this is an immense field of adventure and discovery. Here, the ocean and the wind have carved over time an epic scenery where high cliffs covered with wild moors rise in places over 70 meters high. In other words, the views are magnificent! In the distance, we admire the famous Raz de Sein, so feared by sailors, the rocks of Tévennec that we say haunted and a few cables away the small island of Sein. Then, we let ourselves be guided until the point of Van, the little sister of the point of Raz. More discreet and less touristic, it impresses just as much with its monumental rocks. Surrounded between the Pointe du Raz and the Pointe du Van, the Baie des Trépassés is also worth a visit. Despite its name, the place is conducive to all kinds of water sports, swimming and idleness on the golden sand. Hiking trails are numerous and the possibilities for endless walks are endless whether you are sporty or simply strolling. On foot, mountain bike or horseback, discover the cultural and natural riches of Cap-Sizun such as the harbours at the foot of the cliffs, the ornithological nature reserve of Goulien or the Kériolet mill lost in the valley... Great hikers will be able to cross the GR® 34, the mythical path of the Customs officers, to make the turn of the point of Raz and Cap-Sizun. From the north coast which stretches from the tip of the Van, you can choose to take the path that leads to the tip of the Millier on the commune of Beuzec Cap Sizun. But be careful not to go too far off the beaten track. The paths are sometimes very steep and not without danger. Be careful and always prefer marked and safe routes. Finally, know that guided hikes are organized all year round to discover a fauna and flora of a rare richness, the local heritage and traditions, but also the history of the Pointe du Raz, its secrets and legends. You wish to stay in a campsite near the Pointe du Raz? 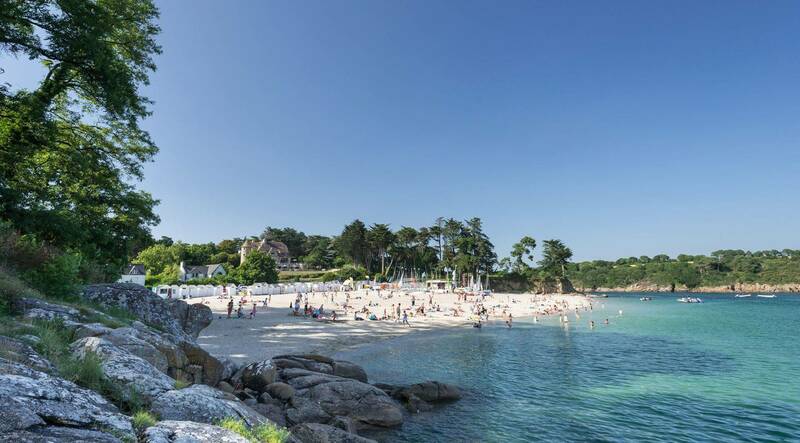 Consult quickly our selection of the most beautiful campings dans le Finistère ! In the meantime, you can prepare your visit by consulting the site du Grand Site de France "Pointe du Raz en Cap Sizun".